Some people aren’t going to like what I’m about to say. Because it goes straight to the heart of a very pernicious attitude that is only expressed in certain company. An attitude the Church doesn’t like to address because it would be “too uncomfortable” for the well-dressed membership and the leaders who may be entertaining it in their own minds. 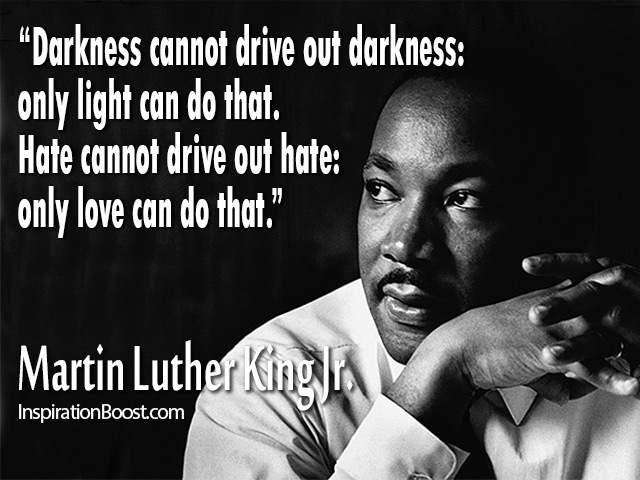 With the news of Michael Brown’s death in Ferguson, MO, this issue has been heavy on my heart the past few days. People in Ferguson are protesting, and with good reason. A police officer unloaded six shots into Michael’s unarmed body – while, some witnesses say, the black teen was standing with his arms raised in surrender. And this is hardly the first time such a thing has happened. This ought to concern us all, no matter what color our skin is. This represents an abuse of power, of a trampling on our rights as citizens under the law. But most of my friends have been strangely silent on the matter. Some have expressed more concern about the backlash against the police than the crime that has been committed. There have even been reports of the Ferguson police attacking and arresting journalists attempting to cover the story in the aftermath. First Amendment rights, anyone? Where are the Constitution huggers now? Logic says it’s a very short leap from “I don’t want to shop with black people” to “I don’t want to give a black person a job.” And the recent recession proved for my generation that it’s also a short leap from “That person is struggling to find work” to “That person is just lazy and won’t try hard enough.” This is what makes racism so pernicious. It worms its way through a person’s soul until an entire group of people is cut off from that person’s compassion and sense of justice. Racism is evil. It is the work of Satan. It is a form of spiritual wickedness that we must pray against. If you’re racist and call yourself a Christian, God doesn’t know you. God isn’t acquainted with racists. Ever since I asked God to allow me to see people as He sees them, I no longer see ghetto people. I see people who just happen to live in ghettos. Most of them will tell you that they don’t want to live there. They don’t want to work for minimum wage and have their kids on food stamps. They don’t want to be surrounded by drugs and gangs and violence. They don’t want their kids shot in the streets by police who are supposed to be protecting them. This was not the attitude of Christ, who approached the Samaritan woman at the well. Jews did not associate with Samaritans. They considered Samaritans to be sinners, heretics, people completely devoid of any knowledge of God. Yet, Jesus went to this woman and showed her compassion. Treated her as a daughter of God. He is our example. When are we going to get out of the dark? This entry was posted in Social Issues and tagged Christianity, division, Ferguson, hate, Michael Brown, racism. Bookmark the permalink. Sad but so true thanks for your boldness! How very true and so very sad! Hmmm. Glad we can talk face-to-face occasionally. You have only touched on several related issues….. The specific form of racism you discuss is, sadly, still part of our current condition and still runs in both directions. May we all work harder at seeing others as God sees. Food for thought: Is the real issue you present here one of race – or culture? What happens when we consider root causes other than race, such as the many ways that the traditional family has been eroded or broken over the past 50 years? No government on earth can fix that. But, people of faith – faith in action – can. I would wait for the actual evidence to be presented before I would leap to the conclusion that Michael Brown’s killing was racially motivated. I am so tired of every undesrable outcome for a black person being blamed on racism. Same day as MB’s death an unarmed white guy was shot by a black cop I believ in Utah. Last I heard white mobs wre not looting and rioting. Predominant black schools in general are not very good. I’m sure there are some exceptions to the rule but most stink. Sending your kid to such a school would be being a bad parent. Heck, most good black parents don’yt wnat their kids going to predominantly black schools. If the decision is strictly based on skin color then you have a point. For example, a co-worker of mine is black and we have travelled together for years. We had a job in his home town and he took me to a bar he used to hang out at. All black. We basically had to back out of the place with hiom shielding me from harm. Why? because I was white. Many many times he has gone with me to an all white bar many times in rural towns. Not the same. So I would suggest that racism is indeed a two way street. Its never going to be solved by treating it strictly as a problem with white people. Let me challenge you on a couple of points. First of all, anytime a police officer shoots and kills an unarmed suspect who has already surrendered to the police, it is a crime. Period. It doesn’t matter what the motivation was. If people didn’t protest over the shooting in Utah, perhaps they should have. I agree, many predominantly black schools aren’t the best quality. So why not say, “I don’t want my kid going to that school because it’s a bad school”? That’s not what I hear people say. Instead, it’s “too many black kids go there.” That’s a racist statement, no matter how you slice it. If the school is bad, just say the school is bad. No need to colorize the issue – especially in the ears of a young child, who will then assume that all black people are bad and should be avoided. Seemingly “harmless” statements like this is how racism is perpetuated. And why do these schools stink? Because we have a system wherein schools are funded by local property taxes. If you live in a low-income area, you get badly funded schools. And why do we have this system? Because back when black schools were incorporated into the public school system, a bunch of white people pitched a fit over black schools receiving the same funding as white schools. Then when African Americans tried to secure mortgage loans that would have raised the value of their communities through home ownership, the banks discriminated against them. This is well documented. No, a black person might not be randomly attacked and beaten by white citizens. But if he’s walking or driving through a white neighborhood, he’ll probably be stopped by the police, or randomly frisked or followed. Guilty until proven innocent. Yes, some black people are racist. But it’s a matter of comparing reactive racism to systemic racism. We can certainly treat the symptoms while we deal with the disease. But if we’re expecting the symptoms to disappear before the disease does, we might need to see a psychiatrist. You opening statement? you really are sticking with this? Well not really at all, self defense is one exception, and there are others such as the protection of others and property. Police in particular have rules of engagement and just because you are unarmed does not mean you are not a threat.Not a very good challenge. A 6-5 300 pound man can certainly be a deadly threat unarmed. A MMA expert likewise. I disagree on schools and banks also. Banks lend to those who can pay them back. Period. The nearby urban school district spends more per student than any in the state. Yet has the worst results. Its not the money. Its the students, teachers and parents. A team effort either good or bad. Also disagree on profiling. In my younger days I was stopped in black neighborhoods by cops asking what the heck you are doing there. Cops profile to limit there energy and resources to the most likely situations for crime. Something out of the ordinary is always a trigger. Blacks commit more crime proportionately and so do men. Thus blacks and men in general get profiled more than whites and woman in general. Lots of words but if we are going to have an honest discussion of racism racists of all colors have to be called out. Racism is an easy excuse many times for bad outcomes that are really the result of lack of personal responsibility. And ignoring the true cause just leads to more bad outcomes. The key word in my statement was “surrendered.” If a person has his hands in the air, or is cuffed and lying on the ground, he is not posing a threat. A police officer who executes a suspect in that position is violating the suspect’s civil and legal right to live and stand a fair trial, which is a crime by constitutional law. Police can’t just shoot someone and claim it was self-defense. Self-defense has to be proven by the evidence. It is our obligation as citizens to hold our (tax-paid) civil servants to the laws set for them. They wield an incredible amount of responsibility and authority. When we start rationalizing and excusing seemingly small abuses of power, we’re setting ourselves up for a lawless and unjust society. My post does apply to all racists. I focused specifically on white racism, but my statement that “God doesn’t know any racists” applies to everybody. As to the rest, we’ll just have to agree to disagree. So they have determined that he definitely was surrendering ? Hmm thought that was still the major point of investigation and contention on whether he was surrendering as some have contested or attacking as others have contested. So you have lept to the conclusion that he was surrendering and also that the officer’s motivations were racial. A pretty dishonest opening to what general is rarely an honest discussion these days regarding the races. If you notice, I prefaced the story with “some witnesses say.” And I never made a definitive claim that the shooting was racially motivated. However, I used the story to point out that the crowd who usually goes on and on about first amendment rights and bureaucratic abuse of power aren’t giving this story any attention. It is a fact that Ferguson police unlawfully arrested and detained journalists in the aftermath. It is a fact that the department has a history of excessive force complaints and shady accountability practices. It is a fact that there have been multiple past instances of white police killing unarmed black suspects who were posing no threat. So why aren’t the Constitution huggers speaking up and demanding answers? The only conclusion I can arrive at is racism. In light of this, please tell me how the following discussion is dishonest. Do people not say things like “I don’t want to shop with black people”? Is racism not the work of Satan? Do the scriptures I quoted not exist? True, I only presented one side of the coin: white racism. But that’s because most of my community is white and I’m not as familiar with black racism. In either case, though, the moral point still stands. It seems to me that you’re looking awfully hard to justify some attitudes of your own regarding race that don’t line up with the Bible as nicely as you’d like. The point of the post is not that Mike Brown’s shooting was racially motivated. The point is that incidents like these reveal the true content of our hearts.